Many people have heard of drug-sniffing dogs and the valuable roles that they play on police forces around the world. You may marvel at a dog’s sense of smell, and that’s perfectly understandable, since it is vastly better than that of a human. 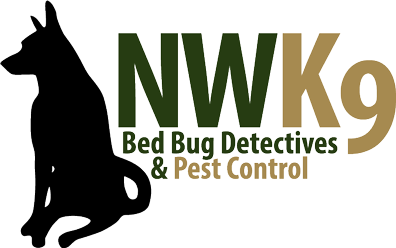 At Northwest K9 Bed Bug Detectives, we believe in putting a dog’s nose to work to help the people around us, and with our bed bug dog inspections in Seattle, we can find where those little pests are hiding in your home. Our canine bed bug expert, Magic, can accurately pinpoint where there are bed bugs in your home, even if there are only a few scurrying here and there. With a nearly 97% rate of effectiveness, Magic will sniff out those bed bugs that are hiding in your home, which is much, much better than the 30-35% accuracy of a trained pest control technician. We put Magic through daily training in order to keep his sense of smell keen and attuned to the traces left behind by bed bugs. That way, when you call us for an inspection, we’ll be ready to go. You may not know for sure if you have bed bugs in your home, but after we’ve been through your home, you’ll definitely know whether or not an infestation is underway. A bed bug dog inspection in Seattle might be the very thing that saves your home from turning into a hub of bed bug activity. Call us today to schedule your inspection and begin to feel at ease once more.